BeLF is proud to announce the presentation of a Netbook to Chelsie, one of the recent competition winners. 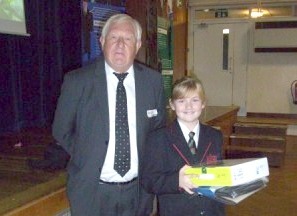 BeLF attended King Edward VI Sheldon Heath Academy to present the prize to Chelsie the winner of the age 9-11 category. Never walk and play with an iPad in your hand!